For over 60 years, our dedicated eye care specialists at Berks Eye Physicians & Surgeons, Ltd. have focused on achieving excellence in the field of Ophthalmology, especially Cataract Surgery, Glaucoma Treatment and LASIK. We use the most advanced technology and vision correcting techniques, including the latest medications, diagnostic testing, laser treatments, and surgical procedures. We welcome you to our website and hope that you find our information useful in your quest to solve your vision problems. New patients are always welcome! Please call us today at (610) 372-0712. The doctors at Berks Eye Physicians & Surgeons, Ltd. specialize in eye care techniques that have been helping the people of Reading PA, Wyomissing and Berks County enjoy better vision for over 60 years. Every day our physicians help patients with common eye problems such as Myopia, Pink Eye, Blepharitis, Hyperopia, Astigmatism, Presbyopia and more with the latest in eye care medications, vision correction and surgical procedures. 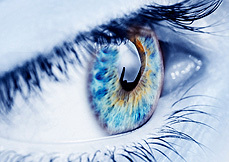 If you are thinking about LASIK eyes see sharper and clearer than ever before. Schedule your comprehensive eye exam with Berks Eye today! We welcome New Patients! Please Call us at(610) 372-0712. Nearly 3 million cataract surgeries are performed annually, making it one of the most common surgical procedures in the United States. Through the amazing advancements in cataract surgery, patients who experience dull or blurred vision before surgery are able to see sharper, brighter images following surgery. And with today´s technology many can do so without dependence on glasses. 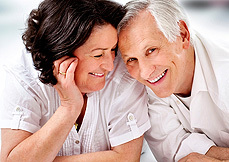 There are even options for patients who have both cataracts and corneal astigmatism. The doctors at Berks Eye Physicians & Surgeons, Ltd. are experts in the field of cataract surgery. Contact us today for a comprehensive eye exam and to see if cataract surgery is right for you at our state-of-the-art Reading eye facility. When you call for an appointment, our staff will strive to accommodate your physician preference and time you wish to visit our office. Please describe any vision problems you may be having. It is also very important to advise if you have vision insurance, since some plans have restrictions on which Berks Eye Physician or Surgeon you may see for your covered appointment. When you arrive for your visit, please bring your insurance cards, Photo ID and list of prescription medications. Depending on the type of exam you are having, your appointment may take from 30 minutes to 3 hours. Please ask when scheduling how long you can expect to be here. Please contact us at our Reading, Pa eye care center (610) 372-0712. 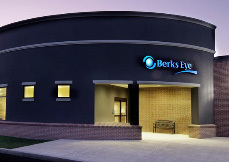 Berks Eye Physicians & Surgeons, Ltd. likes to make things easier for our patients. We have an entire section of our website dedicated to patient information. 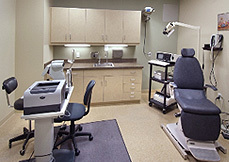 In this section you will find various patient forms that will help make your appointment run smoothly. If you are a new patient, be sure to download and complete the medical history questionnaire. If you have any questions or an eye emergency, please call our Eye Doctor at the Berks Eye PA office at 610-372-0712.